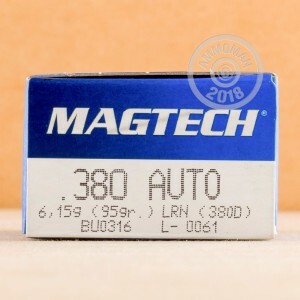 Considered a perfect range ammo for those ranges not designed with impact backstops, these rounds will be a great choice for target practice and plinking. They are also a good choice for home defense because the lead round nose projectile mushrooms and expands similar to a hollow point round. 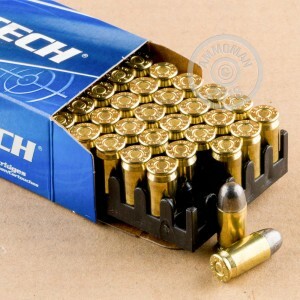 These rounds are produced with non-corrosive brass casings, boxer-primers, and they may be reloaded as well. 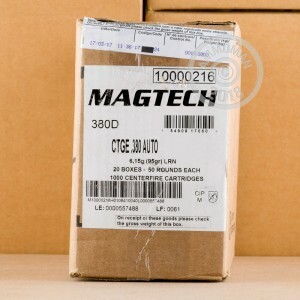 With the goal of being the best in the industry Magtech controls the entire manufacturing process from components to end product, Creating each component gives Magtech a great amount of control over the end product and helps them manufacture an accurate and reliable piece of ammunition every time.